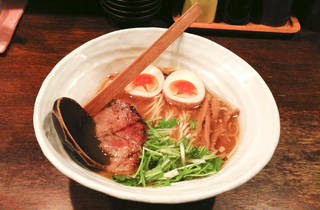 You won't feel guilty slurping the noodles on offer at Usagi: the light shoyu ramen (¥750) here is made without artificial flavours, and topped with mizuna (Japanese mustard greens) for added healthy effect. If you have any room left after that, the popular wontonmen (¥900) is also worth a try, or you could opt for the spicy karamen (¥850), tantanmen (¥950) or tsukemen (¥850). 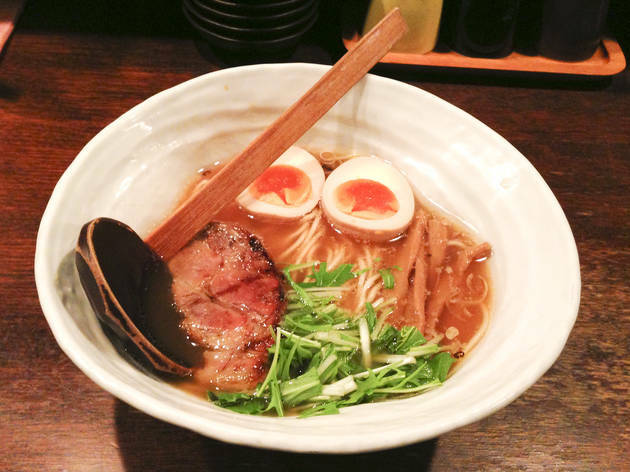 Usagi can be found near Shinsen Station on the Keio Inokashira line, though it's also walkable from central Shibuya.